Tiffany Stokes is the Healthy Accountant. She helps hard working women with big vision who struggle with pain, uncertainty and lack thrive in their health and finances by getting right to the source of their stress, so they can bring their whole life into a place of consistent well-being. 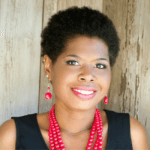 Through years of financial and health struggles and then experiencing a traumatic health experience a few years ago, she realized that there was a direct connection between health and finance. Now she strives to help other women with their health, and finances if needed, so they don’t have to spend years struggling as she did. Special offer: Free 45 minute health session to go discuss and help pinpoint their biggest health struggles.